Elegant Painting is a top notch, 5 star company.They are prompt, talented, tidy and non smokers. We didn't lift a finger moving furniture and misc items. Throughout the process, everything was kept very clean. And the customer service is superb. We will most definitely be repeat customers! We produce consistent quality by following manufacturers instructions. Our focus is on making the experience convenient for you. Give your deck a fighting chance against our damp climate. 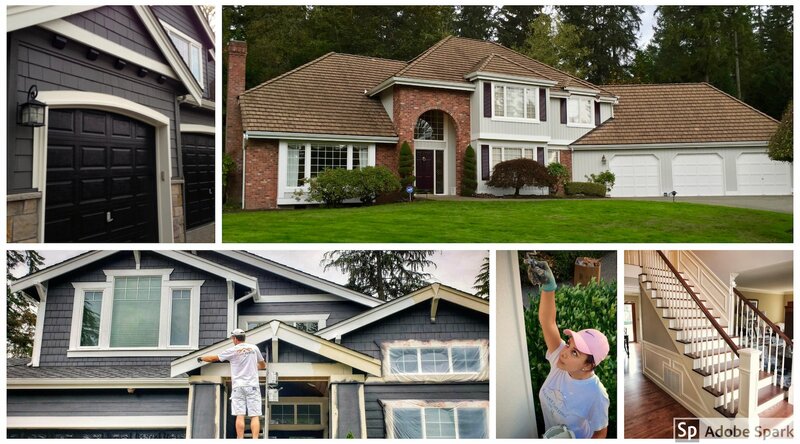 Based out of Kirkland, WA, Elegant painting® offers top quality professional house painting services to our neighbors on the east side of Seattle. We live and work on the Eastside and specialize in homeowners who expect a higher level of service from their home improvement professional. We offer free painting quotes; each estimate includes our list of references, proof of insurance, license, and bond. Our exterior painting estimates include maps of model homes in your immediate area! When you enter into an agreement with many painters, they then hire a cheaper contractor willing to do the job for half of the cost. The result is a low-quality job for which you pay 200%. Every one of our free estimates come with a list of references, a copy of our current WA state contractor’s license, proof of insurance, and a copy of our certificate of bond. Exterior estimates include maps of homes we have painted in your immediate area. Not operated out of a PO box! We are based in Kirkland and we serve our neighbours on the Eastside. Our interior paints have no carcinogens! New environmental regulations and consumer demand have led to the development of low-VOC and zero-VOC paints and finishes. These new paints are durable, cost-effective and less harmful to human and environmental health. Learn more about all our materials. The precision of our paint jobs is guaranteed in writing! We offer you, in writing, a guarantee on workmanship precision.